The Cox Arboretum renovation project was conceived to allow the public more hands-on access into the world of sustainability efforts going on at the park, allowing the public to take environmentally friendly practices home with them to further develop in their own yards. 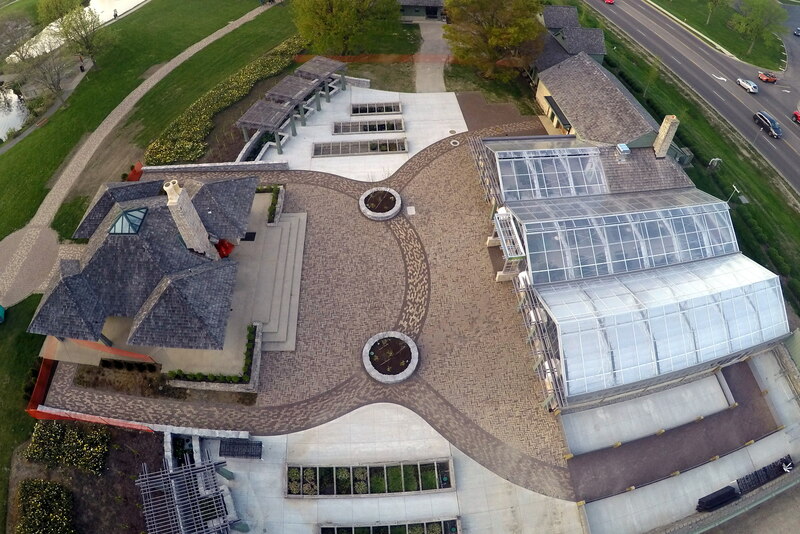 The existing propagation and greenhouses were renovated for public access and improved utility performance. The tree and wildflower propagation improvements beyond the buildings included new winter storage areas and cold frames where the public can work at accessible tables to tend the plants before they are moved out into other parks for permanent planting. 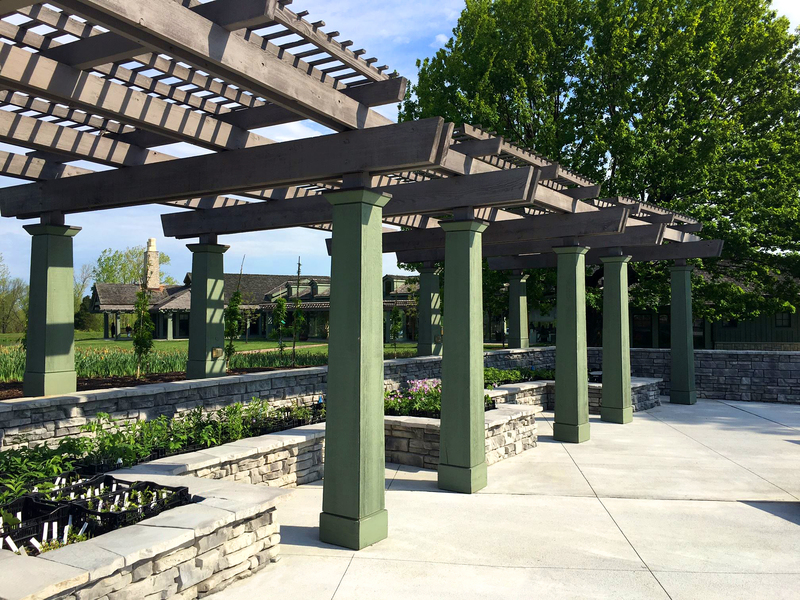 The Learning Lab has been connected through permeable walkways and ramps down to the greenhouses where a beautiful patio space can be rented out for functions surrounded by pergolas, stone walls and attractive wood fencing. An underground water cistern captures rainwater and greenhouse water for later reuse. Interpretive signage will be used to guide the public through the space, showing the efforts the arboretum has taken to reuse, refurbish and recycle for the Barbara Cox Center for Sustainable Horticulture.